Our dietary supplement is formulated from Laxosterone®, a patented extract derived from the root of a climbing shrub called Smilax scobinicaulis, native to Asia and America. Use of this shrub is not new; species of the Smilax genus are utilised in the production of a number of traditional drinks and food products. The shrub’s berries are also used, as are its leaves and roots - the latter forms part of the Chinese pharmacopoeia. Smilax root is a common ingredient in traditional Chinese medicine remedies for treating the joint pain of arthritis and lumbago. These and other therapeutic applications have attracted the attention of the scientific community; indeed, researchers have now succeeded in identifying an interesting new molecule: laxogenin. Laxogenin is a natural compound belonging to the family of brassinosteroids, molecules recognised as a class of plant hormones. Studies have shown that laxogenin may have a similar effect to certain androgenic anabolic steroids, the best-known of which are Anavar or Oxandrolone. These substances’ effects are particularly popular with sportspeople for increasing muscle mass and boosting physical strength. Steroids are primarily used in bodybuilding to gain muscle. According to researchers, laxogenin may have the advantage of being a natural plant steroid with no unwelcome side effects and no identified liver toxicity. In fact, laxogenin is not the only plant steroid present in Smilax. It also contains 5-alpha-hydroxy-laxogenin which is actually a homologue of laxogenin. Both molecules are widely used as anabolic agents although 5-alpha-hydroxy-laxogenin is often preferred to laxogenin. This may be due to its superior anabolic effects in the body. 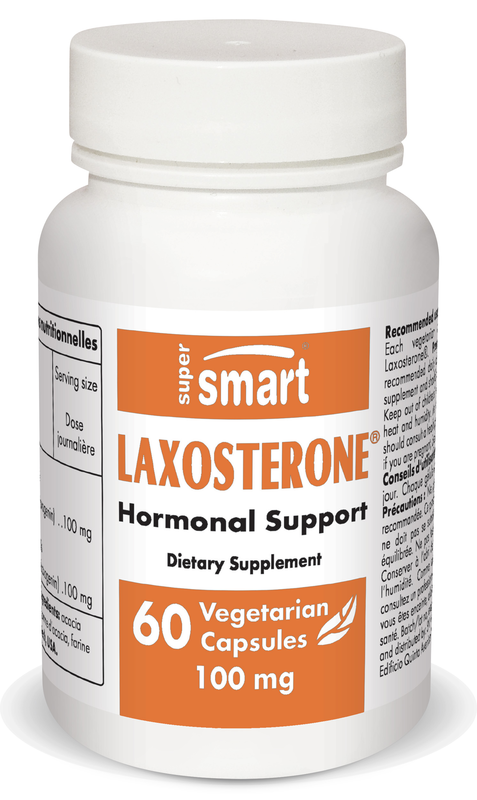 The benefits of this natural plant steroid are now available in our new supplement, formulated from Laxosterone®. This patented extract is obtained from the root of Smilax scobinicaulis and standardised to 92% 5-alpha-hydroxy-laxogenin. Achieving this exceptional concentration is possible due to a bioconversion process which enables a highly purified quantity to be extracted. With its benefits for sportspeople, 5-alpha-hydroxy-laxogenin has been the subject of several scientific studies in Russia. Researchers suggest that taking Laxosterone® has an effect on weight gain, associated with muscle gain. Their results indicate an effective dose is between 50mg and 100mg a day. Our supplement therefore contains 50mg of Laxosterone®, though to prevent fatigue and headaches, you should not exceed 100mg a day. Many sportspeople are already convinced and are recommending natural plant steroids. Other ingredients: magnesium stearate, silicon dioxide, microcrystalline cellulose.